Are long hours at a computer causing grief? Ever experience neck pain, headaches, shoulder or back pain with your inactive office job? Click the to learn more! Pei is an extremely competent, skilled professional. I've sought Peis advice and treatment for issues such as damage to the meniscus in my left knee following a fall. From the first session her treatment helped to reduce the pain and her instructions regarding exercises to increase mobility were explained and demonstrated well. I thoroughly recommend Pei. (Note-the premises at PB Physio are very clean and newly renovated). These guys are the best. Really know what they are doing and provide a tailored approach to your injury rehab. I have seen so many physiotherapists and none of them could even compare to Pei. Pei is a highly motivated physio who provides excellent care to each and everyone of her patients. I saw her after experiencing two prolonged injuries and was told I would never be able to do powerlifting again. After commencing rehabilitation sessions with Pei I was on the road to recovery sooner than expected. I had my first visit today with Pei and we identified many things to work on in terms of flexibility and activation to improve my shoulder health and overall lifting performance. Pei was very informative and I am excited to see the progress in working with PB Physio. I have seen other physiotherapists in the past but they have never been so thorough in their assessments and identifying fundamental movement restrictions. I would highly recommend PB Physio even after my first visit. My nickname for Pei is “The Magician” simply because she works magic ! 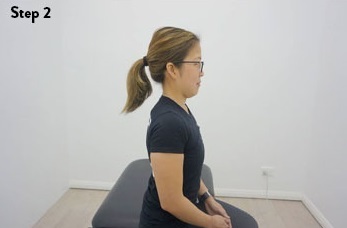 My shoulders were worn down by years of improper posture and neglect during training and she got them working again in just a few sessions, she connects all the dots and gives you straightforward and realistic methods to get you working again. Okay.. where to start. Having had hip flexor problems combined with glutes that just wouldn't fire off, I was able to squat in the downwards direction. Coming back up was the problem and apparently, you HAVE to come back up for it to be called a squat. Upon a HUGE recommendation, I seen these guys. I've seen both Pei and Julia. I could swear it's as if PB Physio is a base for extremely focused, professional and highly competent physios. I've seen a number of physiotherapists in the past and never have I experienced such a thorough and educational session with anyone else. They fixed me twice! (yes I'm a mess) Going from dragging my left leg behind me, to the following week hitting a PB, was almost surreal. But the real trick to get the PB Physio team to go bonkers with energy and deliver the elbows and needling of a lifetime, is to give them sugar (bring cake or cheese tarts). You'll thank me later. Pei is hands down amazing!! Not only is she extremely knowledgeable and experienced, her infectious smile and personality make every visit enjoyable - even if she is digging her elbows into your sore spots!! I first visit Pei 2 months ago after receiving a number of recommendations from people at my gym. I had a torn quad and hip flexor which she fixed within a matter of weeks. I will definitely continue seeing Pei for my sports injuries and niggles. She is the best! I was recommended to pei by people in the weightlifting and powerlifting community as I was having major issues with my knee. I saw Pei 3 weeks before a weightlifting competition and at that point I couldn’t even body weight squats with out pain. After a few sessions and a great progressive injury management protocol I was able to compete and not just participate but go on to smashing some PB’s. I have played rugby for over 15 years and encountered many physio but Pei is undoubtedly the best I have come across she is professional, friendly and just an absolute legend! I have seen many physiotherapists in the past, but Julia at PB physio stands out the most. She has an excellent attention to detail, courteous and most of all cares about her clients. This is shown through her passion for what she does. Thanks Julia for all your help! Seeing Pei provided me with a lot of insight and understanding of my back problems. Prior to her treatment, I was in constant pain and discomfort. However only after a few sessions with her I felt a huge difference in my day to day activities. She is highly recommended to my friends and family. When I moved to Sydney I just had a really bad back injury and I didn't know what to do. I saw physiotherapists, chiropractors and other professionals without getting any better. Luckily I found Pei. At the beginning I was scared and sceptic as no one ever helped me and I was always told that I couldn't get back to dance or do any other activity. Pei helped me with my first goal of being able to travel to Japan in a few weeks as my back was very painful in that period and I was afraid I may have to cancel it. Thanks to her I was able to go there and walk, hike and do everything without any issue. Then I continued my sessions towards my target to get back to dance and to have a better quality of life. She is very talented and passionate about her job, I felt so lucky to have met her. I went from two torn ligaments to snowboarding in just under 3 weeks. I owe it all to the best physio ever - Pei Gan! I saw her 3 times a week for 3 weeks to make sure I could snowboard. She saved my entire trip! You the best! Pei truly cares about her work and the health of her clients. As a high level athlete herself, she understands what it takes to overcome an injury, and is an expert when it comes assessing and addressing all types. Pei works closely with all her athletes and is committed to not only eliminating whatever symptoms you may be suffering from, but more importantly, addressing the root cause to ensure they never return. I first saw Pei when the pain from squatting, or even bending my leg, was near unbearable. Within only a few sessions, the pain was significantly reduced and for the first time I felt like I was on the right track again. Pei’s passion for helping others is second to none and makes her one of the best in her field. I’d recommend PB Physio to anyone. I started seeing Pei to help treat my disc bulge and spondylethsis a few months ago. As a powerlifting both these injuries are extremely volatile and historically I’ve worked with practitioners that don’t understand these movement patterns. When I went to Pei, it was completely different. For the first time in my life, I was working with a physio that worked with my goals (and my coach). I’m lifting the heaviest I ever have at and pain free. Following Pei’s advice including pre-hab exercises has allowed my body to move and function better. I would recommend Pei to anyone. 10/10 physio and 11/10 banter. Pei is extremely motivated and determined. She is always putting in 100%, and striving to achieve the best results. Her passion for powerlifting is clear to see, and her expertise in treating lifters is second to none. Whether a lifter or not, Pei brings the same focus and an individualised, goal-oriented approach to her treatment. I would recommend her to anyone. Pei helped me continue my wrestling training and get to competition injury free. I received some great treatment from Pei for an ongoing shoulder and upper back injury over a few months. Apart from awesome assessment and treatment that really worked, Pei's attitude towards my case was what stood out. She constantly followed up with me/ tracked how I was after each training session. She showed genuine interest and care for myself and Id go back and get treated by her in a heart beat. Thanks pei! I have been very fortunate to be treated and managed by Pei on a professional level. Pei brings an infinite level of dedication to her patients, their injuries and outcomes. Pei’s delivery of treatment and rehabilitative practices in a musculoskeletal setting is of the highest calibre. I regularly reach out to Pei for ongoing advice of various pathologies and treatment options. I highly recommend Pei to anyone, in particularly if you are looking to improve your athletic performance. Pei is a knowledgeable Physio with some serious experience on her hands especially within the Powerlifting field. Having worked with her I’d definitely recommend her services if you’re looking for an edge in your lifting game. From injuring my lower back, not being able to do any dead lifts of barbell squats, Pei - within 4 weeks - got me doing both. I am really enjoying my training again thanks to her. Would definitely recommend! A genuine and very customer focused physiotherapist who makes sure she treats all her clients in an efficient and effective manner. Wouldn’t recommend anyone else! Thank you Pei for fixing my back! I have been seeing Pei as my physiotherapist for any little niggles or injuries I have had in the past. The difference between Pei and other physiotherapists I have seen is her approach. Rather than just aim to alleviate your pain, she worked with me to correct movement patterns and addressed the root cause of my injury rather than just a symptom. Pei ensured I was in tip top shape for my upcoming comp and helped me hit those PB's! As one of the receptionists who has worked by Pei’s side for years, I can say with confidence that she brings something unique to a clinic. Not only is Pei a wonderfully talented and knowledgeable physio, who has treated me on many occasions, but she is also a fantastic person. She goes above and beyond in whatever it is that she does, whether it’s a menial task, or something of great importance. One of Pei’s best assets is her passion and her love for what she does. I would highly recommend her services. I’ve been seeing pei for the past 9-10 weeks for my recent ACL + meniscus tear and have had 0 issues. She’s identified different mechanisms that have contributed to the cause of injury as well as other various imbalances and is helping me work towards addressing all. I have complete confidence in her treatment and highly recommend her as a physiotherapist. Pei is an exceptional Physio who I am grateful to have learnt from and been mentored by. Her knowledge and understanding of what drives athletes is one of the reasons she is an industry leader, especially with lifting athletes. Whatever it is that is stopping you from reaching your best, Pei will work with you and tailor a treatment plan specifically to get you performing at the top of your game. Both as a patient and as a work colleague, Pei has made an amazing impact on my career as a therapist and my performance as a powerlifter. Being an athlete herself, she understands the struggles of athletes managing injuries and struggling with performance, and doesn’t just tell them to rest or stop training. She has a systematic approach, unique to each athlete to improve their performance and manage their conditions. I recommend Pei very highly for any athlete requiring treatment, as well as upcoming therapists to learn from her, and continue to make positive change to this industry. PBs are what Pei spruiks, and PBs are what I got. I went to see Pei in the week leading up to my powerlifting comp, with back pain that was making it harder and harder to complete my lifts. She was extremely thorough and put great effort in helping minimise the pain in time for comp. After managing to achieve 9/9 and PBs in all my lifts, Pei worked on getting to the bottom of the issue. I have also seen her for shoulder issues in which I saw noticeable improvements after only a few sessions. Pei is passionate. Pei is precise. Pei is patient. Pei is THE PB Physio. I would not hesitate to recommend Pei's elbows to all who are suffering in silence. Pei is extremely smart and will find the cause of your issue in order to treat it and provide appropriate rehab exercises. I’ve had a lot of success working with her and send my clients her way. I had a severe case of Bursitis on my shoulder when I went and saw Pei for the first time. I was unable to do the simplest tasks like answering my phone from my pocket or even putting on my seatbelt without experiencing sharp unbearable stabbing pain. Thanks to Pei my shoulder is back to its normal self with the pain completely gone. Pei is an incredible physio. Super intelligent, knows exactly how to diagnose and fix issues, especially if you're a powerlifter . I found Pei after a disc injury due to weak glutes and squatting through pain and injury (my bad!). After a couple of weeks of treatment with Pei, I was deadlifting and squatting again with hip mobility I never knew I had. A few months later and I'm feeling more stable than ever, hitting new rep PBs every week! Pei has been treating me for almost 12 months and has helped diagnose chronic hip pain that I’ve had since I was a child. I have been able to finally find out the cause and continue to squat successfully and pain free by following her rehab program. She has also helped me to stabilise my left shoulder and improve on my bench press. Without her guidance I would not have been able to enter the world of competitive Powerlifting. Pei is an awesome physio who is the best at what she does. She has worked her magic on me over the years with my ACL rehab, hip impingement, sprained ankle and golfer's elbow. Highly recommend! I had a lower back pain for 1.5 years and to a point that I couldn’t exercise and had difficulty to move around. It’s not until I met Pei and she pointed out all the causes as it wasn’t simply a back pain. She was knowledgeable and taught me programs and methods to recover and rebuild my core. It took a little less than three months and I was able to do exercise and lift weights without pain. She’s very professional and definitely strict in order to help you to recover and able to exercise. For this, I cannot thank her enough! The first time I met Pei, physiotherapist, she assessed my body and I never realised that I had so many problems, from top to bottom, but my biggest concern was that I couldn't shoulder press over my head without having pain on my lower back. 10 weeks with Pei, I was able to shoulder press properly and on the way helped improve my upper/lower mobility and flexibility. Definitely recommend her and come back again! Strained my back 4 weeks before a powerlifting comp. Went to see Pei and was able to squat 80% a few days later. Kept doing the prescribed rehab exercises religiously and managed to PB all on all lifts pain free! PEI is an absolute professional. She knows her craft and being an athlete her self means she can better understand and sympathise with the athlete not only as a physio but as a fellow lifter herself. She's managed to put me back together everytime to pain free lifting. We've worked on quite alot together, everything from back, hip, elbow injuries to little niggles, you name it. We've worked on it. I put alot of trust in PEI, and as a result she also sees many of my athletes. Some cases more complicated than others and she always manages to find the root causes to their issues and solve them real quick. So If you're in need of a new physio, she should be your #1 go to. I began seeing Pei after sustaining a lower back injury. Initially, the full assessment Pei performed displayed a few issues with my shoulder as well. She is patient and professional, but also loves to chat, which makes sessions both enjoyable and worthwhile. Pei has been treating my injuries whilst also providing rehab exercises so that I can manage my weaknesses and injuries whilst still being able to perform exercise for my chosen sport of powerlifting. I now have no back or shoulder pain when training or otherwise. I’ve recommended Pei to many of my own clients because of her fantastic skills. Pei is an athlete herself so she understands athletes. It's that insider knowledge that separates her ! When I first saw Pei, my knee was in a bad way. I was unable to get through any of my squat sessions without huge amounts of pain. Within a few sessions things started to improve and I was back to pain free squatting in only a matter of weeks. Her elbows are too sharp tho! I first knew that Pei was great during the movement assessment. Before she even saw me squat or really spoke to me about my issues, she picked up that my range of movement in my hips was terrible and said ‘I bet you squat like a pancake’. After 15 minutes or so of massage (and death by needles ) we compared a before and after video of my pancake squat that Pei recorded. In the second video, the range of movement in my squat had dramatically increased, I was pain free and my signature pancake squat had almost completely disappeared. Since then, I’ve seen Pei whenever I have a little niggle.I’ve also referred my Mum and my girlfriend, who are regular patients now too. Prior to seeing Pei, the physios who had been treating me were lousy and simply took a look at my MRI scan results and said okay, do X and Y stretches, instead of helping me understand what the root of my injuries were and how to make my way back up. This is how i could tell Pei truly cares about her patients as upon my initial consultation, she immediately pointed out the fact that the symptoms i was experiencing didn't align with what was reported on the piece of paper. We're still in the early stages of treatment but after nearly 2 years of regression, i can definitely see that the best is coming soon. Would highly recommend! I was having trouble with my knee and Pei fit me in for an appointment to see her straightaway. She was very thorough, professional and supportive. The treatment was excellent and she prescribed easy to follow exercises. Thank you Pei! Pei has immense knowledge and goes out of her way for her patients. I would have no hesitation recommending her to anyone! Literally, i was almost close to depression cuz lifting is life for me, and i thought i was going to have surgery cuz chiropractor can’t help me anymore. Then I met pei, as if heaven opened and pei with angel wings came down to save me. - I can’t deadlift for 3 years. I was literally dead on my lower back pain and discs problem. After seeing Pei & just for few sessions with her, deadlift was my bae. Not to mention my elbow & wrist problem on benches, all fixed by Sensei Pei, easy. Also, my squats, omg i never felt a strong and smooth squat ever. - She’s not just doing her job but i think she love what she’s doing — especially she’s a powerlifter herself & can easily tend to sporty client’s need such myself. - Loved this girl very much! My experience with pei the physio has been really pleasant. Being a physiotherapist not only requires medical knowledge but also a passion for sports. Pei fits both of that area perfectly. A few weeks ago, I consulted Pei about my weaknesses in the 3 lifts of powerlifting. She was able to quickly come to a deduction about the reasons why I wasn't able to perform and prescribed me some exercises to follow up. A well-versed physio like pei is hard to find. Being so busy with work and life, i didn't take it seriously when I found my back and hip were a bit "sore". After twisting the wrong way while helping a patient to her walker, I started having excruciating sciatic pain down my right leg. After one of my (very lovely) 90 year old patients had to help me out of my chair and having to take lyrica, panadeine forte and 8+ nurofen a day to bear with the pain, I decided to get an MRI which confirmed a L5-S1 herniation and bilateral nerve compression. I was advised to have CT guided epidural for the pain. Not wanting to inject high dosage corticosteroids into my spine at 25, I decided to see Pei Gan instead. I still have a long way to go before I can touch my toes, do Brazilian jiu jitsu and deadlift again. But for 2 weeks, 3x physio sessions weekly (and hundreds of lying lifts), I am amazed at my own progress. I can't praise Pei enough for all her help. I saw Pei when I was suffering from back pain and reduced mobility from extended hours at the computer desk and years of studying. Pei helped me with excellent treatment and follow up exercises to not only keep me on the right track but give me flexibility that I hadn't seen since high school! She kept it simple, short and consistent for me to follow and that is what totally worked! A true professional and superb physio, she takes great care in her work and is always a blast to talk to. I've never met someone so passionate and enthusiastic will all things gym, fitness and food! I give her my highest commendations. I have been seeing Pei for an ACL rupture. I couldn't have asked for a more competent physio to treat me throughout my prehab and rehab. Pei has taken great care to ensure that I build the necessary strength and dynamic stability to get back to netball. Can't recommend enough! Thanks Pei! I first saw Pei when I was imobalized by a back injury while deadlifting. Not only did she get me back on the platform but she also fixed the systemic problem that caused it, leading to me breaking through platues on both my deadlift and squat, increasing my PBs by 10 and 30 kg respectively. I next went to see her for bicep pain while benching. Once again she fixed the pain and resolved the cause of the initial issue. Since then my bench has shot up as well. Currently I'm seeing her for a BAD sprained ankle. In one session, I went from being confined to a boot and crutches, to being able to walk (very slowly and carefully of course) unassisted around the house. If you need a physio who will not only fix your issue but also get you performing better in your sport than you ever have before, then see Pei. No questions asked. She will get you there. I started seeing Pei after my elbow pain (Golfer's Elbow) reached a point where I couldn't train anything without feeling it (even during squats and deadlifts) AND I was 5 weeks away from my powerlifting competition. I also felt the pain in the morning and during some day-to-day activities like driving. Within our first session, the pain was immediately relieved and Pei identified a lot of my postural and movement issues that contributed and led to the elbow pain developing. 6 weeks later, I have been able to train and compete pain free and even though my elbow is still a work in progress, I have never felt this stable and strong in all my lifts! Pei is also the kindest and caring physiotherapist who will go above and beyond for all her patients. I have never met or seen a health professional who is as dedicated and committed as she is! Constantly attending competitions and meets to watch patients compete, messaging me to see how everything is going, asking about my training and lifts, etc. I highly recommend Pei to anyone who wants serious results and genuine care and treatment from their physiotherapist! Pei currently holds the world record for the world's sharpest elbows. Tight muscles will soon become a thing of the past as she blesses you with her godly elbows. Pei doesn't back down in the face of adversity nor challenge; as she will present you with a myriad of rehabilitation exercises specific to your injury. She will bestow upon thou with unparalleled symmetry and control that you have longed for. Gone are the days of wonky squats, bench press and niggling aches & pains. Start afresh with a functional body and laugh in the face of disc injuries and back pain. Pei has helped me recover from numerous injuries and niggles with her persistent hard work and positive attitude. She welcomed me and my injuries with open arms and went above and beyond to ensure i was back doing what i love doing. Pei’s services are legit second to none. I remember I was 3 weeks out of my powerlifting comp and could not squat at all due to injuring my hip. Went to see her and I was already feeling stronger than ever by the second week with no signs of hip pain. It’s awesome because she actually cares about her clients and wants them to improve as she was present at my first powerlifting comp and even provided me with free, on-sight treatment. 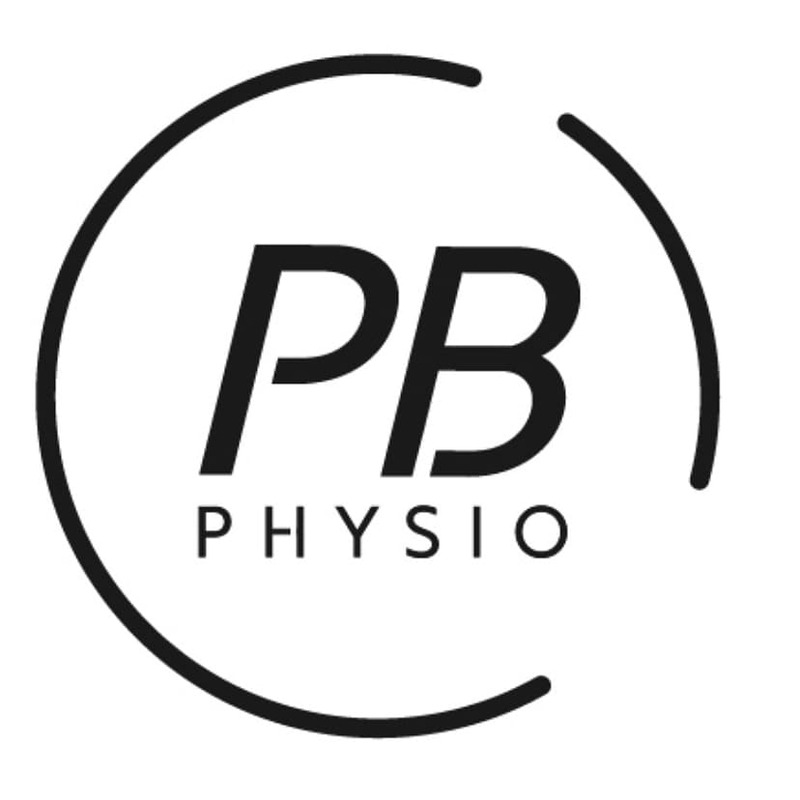 I strongly recommend PB Physio to anybody in need of a physio who is highly experienced and passionate in what they do. Pei has been a huge part of why I have achieved my pb's in the gym. She identified issues promptly which allowed me enough time to rehab and be able to compete in my novice competition. She understands what lifters need and provides professional care 24/7. Would highly recommend if your having small niggles; treat it now or suffer later. Pei is amazing. Extremely knowledgeable and makes you feel confident in the results you will achieve. See her if you want to get better for the long term! She's also funny and personable, so I always feel welcome and valued as a patient. Highly recommended!